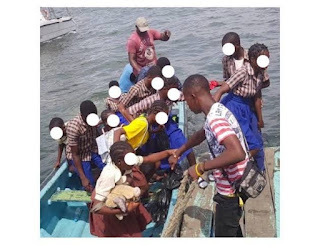 The National Inland Waterways Authority (NIWA) on Monday said a boat carrying 12 pupils of the Government Secondary School, Tarkwa Bay from Osborne to Marina in Lagos was arrested on Thursday March 28, because none of the pupils had life jackets on. This is even as the agency further revealed that all the pupils were below 16 years old. 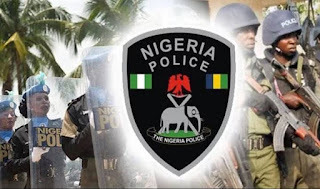 Disclosing this in his office, General Manager of NIWA, Lagos office, Muazu Sambo, said the owner of the boats and driver, Mr. Balogun Oriyomi and Solomon Gbenga respectively, will be handed over to the police. According to the NIWA GM: “ln the morning of last Thursday, the management of NIWA on a control inspection arrested a private passenger boat on the Lagos lagoon. The boat was conveying school children of the Government Secondary School who were all under 16 years old from Tarkwa Bay to Osborne for a school event. “The route is one of the busiest. Most shockingly, none of the children wore a life jacket on that open boat. A standard approved life jacket is an essential requirement for water transportation and its use is mandatory, for it is the only tool that helps to ensure the survival of lives in the unfortunate event of a boat mishap. “What is more, nobody can rule out the possibility of a mishap occurring on any trip at any given time due to several factors that may be beyond human control. NIWA places a very high premium on the safety of lives on water. We had only recently toured all passenger jetties in Lagos on sensitization campaign on safety, with particular emphasis on the use of life jackets, among other requirements. We view this incident as a gross travesty of this campaign, which consequences could have been the avoidable loss of precious young Nigerian lives. “Consequently, the operator and driver of the impounded boat would be charged to court under extant laws, so as to serve as a severe deterrence to other operators in the industry. We have lost so many lives from boat mishaps that every necessary step must be taken to protect further loss of lives on our waterways. “NIWA will not relent in its determination to monitor activities on the inland waterways with routine and control inspections. We will seek maximum lawful penalties for those who violate safety measures on the waterways.